Ian Riccaboni didn’t expect any fanfare. Especially not from his students. Make no mistake about it, Riccaboni has his dream job. The lifelong wrestling fan who attended matches in Allentown while growing up is calling matches in the second-biggest wrestling federation in the United States. Last weekend, he called four nights of professional wrestling when Ring of Honor went on a tour that included stops in Buffalo, Pittsburgh and Dayton, Ohio, and capped off with an internet pay per view in Chicago, where Riccaboni called the matches in front of Ring of Honor’s second-largest crowd of all time. All four shows were sellouts. 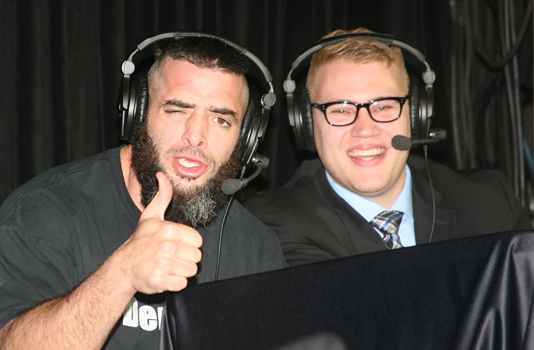 On Friday night, Riccaboni will bring his commentary skills to the 2300 Arena in South Philadelphia when Ring of Honor returns to its roots for a national television taping. Four episodes of the show will be taped and shown on stations across the country. According to Riccaboni, it should be an action-packed night of wrestling. Wrestlers like Ring of Honor champion Cody, the son of wrestling legend Dusty Rhodes, and the massively popular tag team the Young Bucks are among the most exciting acts in professional wrestling. And while they do moves few others can do, Riccaboni provides the soundtrack by calling the action and explaining the importance of every match. People watch wrestling because they want to see what’s happening, but guys like Riccaboni are the pitchmen who let people know what to care about. Riccaboni skyrocketed to the big chair at Ring of Honor, but he certainly worked his way up to it. He started out as a part-time performer, doing well in an audition, and was given a chance to call Future of Honor matches, which featured the young stars of the promotion, and the Woman of Honor series, which featured lady wrestlers. 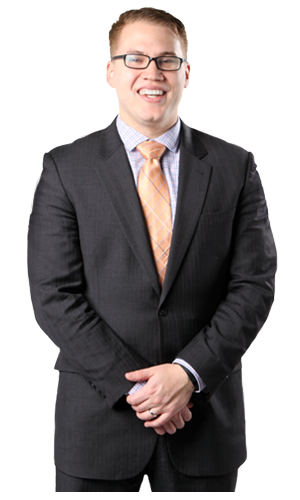 While wrestling is one of his passions, Riccaboni has many other interests. One of them is music. Growing up, he played the oboe and the viola. He then graduated to the bass guitar, which opened up many doors for him. It also got him some strange looks in the Ring of Honor locker room. Not that long ago, it would have been odd to see a wrestling fan wearing a Riccaboni shirt, but now he’s a household name. But he wants more. And he wants more with Ring of Honor. He also wants his family to keep growing. Riccaboni, 30, might be the famous one in his family, but he’s quick to point out all his wife, Sarah, has done for his career. He also has an 11-month-old son, Zach. He’ll also be excited to watch his son continue his dream job this weekend. The 2300 Arena was formerly known as the ECW Arena, a historic place for wrestling fans. “When I started, I just hoped to call one match there,” Riccaboni said. “I’ve called a lot of matches there, TV tapings, I’ve called world championship matches. It’s such a great arena for wrestling. And while Riccaboni’s future will be heavy on the wrestling, there’s a chance he could move to his other passion, baseball. He helped pen a book, The 100 Greatest Phillies of All Time. Perhaps someday he’ll call balls and strikes along with pinfalls and submissions.